Grace Hopper, mid-1900s - "Mother of COBOL"
"In 1984, 37.1% of Computer Science degrees were awarded to women"
- Wikipedia: Camp, Tracy (2001). "Women in Computer Science: Reversing the Trend". Colorado School of Mines. 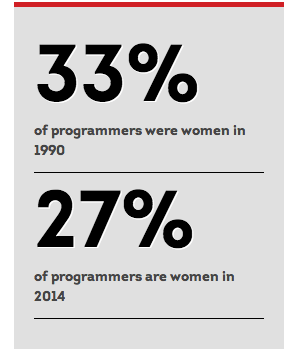 27-29% of computing jobs are held by women! That's more than the 12-18% graduating with a CS degree! ...over half of women working in technology drop out. "And [they were] still often relatively cheap compared to what we would’ve had to pay someone less good of a different gender..."
20 minute interview with Rachel Sklar of Change the Ratio. "The Linux community is dominated by western, white, straight, males in their 30s and 40s these days. I perfectly fit in that pattern, and the rubbish they pour over me is awful. I can only imagine that it is much worse for members of minorities, or people from different cultural backgrounds, in particular ones where losing face is a major issue." "Not everybody in the Linux community is like this, the vast majority isn't." 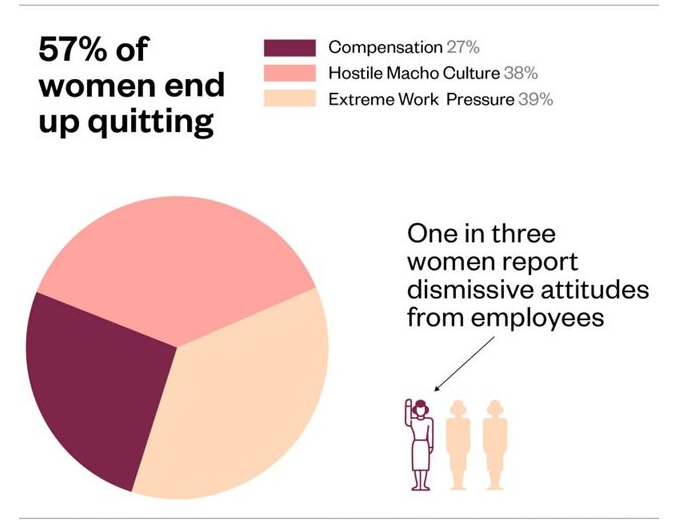 "but wait, I don't like working with women." "We love our communities and the ideas that drive free and open source software so much that we want to talk to anyone who is interested. We think that it is worth it to convince people, one at a time, to contribute. The same logic applies to getting women involved. The change won’t happen in a day. We convince people, one at a time, that what we work on – what we believe so much in – is worth contributing to. And then, one person at a time, we will make it so that women are 50% of open source community." "I’m not a “woman in tech.” I’m just in tech." 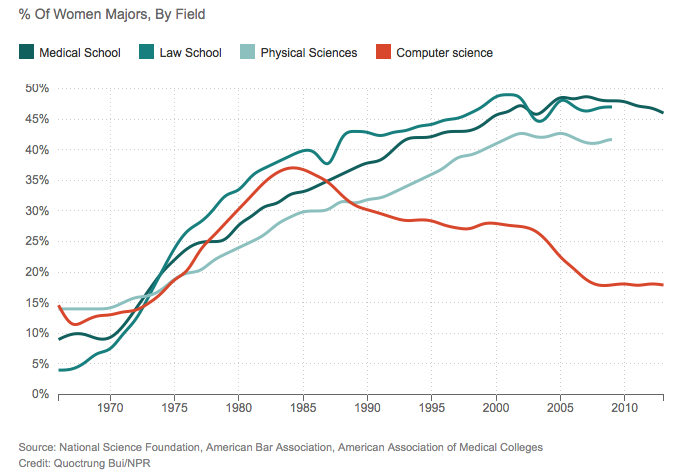 How does biology explain the low numbers of women in computer science?